Yes, alright I know, a bit of a dramatic title. But following a recent Podcast from Greg and his pool of technical talent, I got to thinking about the books on my bookshelf and felt I had to reply. If you recall they had a good chuckle about managers keeping outdated editions of CiscoPress books on their desks covering obsolete technologies and software in the hope of demonstrating that they were once technical. Whilst making some room on my bookshelves last weekend I was appalled to count up the number of now worthless books I had, covering such topics as ATM, Netware, Xenix, MSDos and Cisco LAN Switching; updated to cover the Catalyst 5500! No matter how hard I tried I couldn’t bring myself to throw them away.† So I did what most of us do and moved them into the loft just in case ATM to the desktop ever comes into fashion. However, I did find 10 books over 10 years old that I’ve left on my bookshelf that I’m happy to be associated with and would recommend to anyone in networking. Obviously this is subjective, and I know that a lot of good books have been written since, but I’m hoping this will start a lively debate. This covers some very heavy-duty stuff regarding the real fundamentals of Bridging and Routing.† If you read and understand this book, I guarantee you that link state protocols will never be a problem for you again. What makes this book special is some of the anecdotes regarding standards committees and the sprinkling of completely off the wall quotes, including the one from Prince Charles about his preference for Bus technologies. Back in the 90s I came from a UNIX background thinking I knew TCP/IP, this book taught me how little I knew.† I still refer to it every now again, there is so much more to TCP/IP than addressing, windowing and handshaking. Until I read this book I thought I was a bit of a Network Security specialist with all my knowledge of PIX firewalls and locking down routers. This book really goes into the nuts and bolts of TCP/IP weaknesses and vulnerabilities.† Some great examples of exploits. The ultimate guide to the original Cloud Computing application. It’s amazing how much DNS is taken for granted, and yet it is probably the biggest weakness in most networks. Early on in my I.T. career I realized I was never going to be a programmer. probably a good thing in hindsight. However, there are a few things that I’m envious of programmers: †Perl scripts to automate repetitive tasks and put together complex combinations of regular expressions that in one line saves two hours of log analysis. †However, I have to be honest I use this book mainly to reverse engineer scripts associated with MRTG. A really good read and explains why I.T. will never solve criminality. Bruce gives some great examples of how a lot of the security problems we deal with today are just copies of what was going on in Babylonian markets 3,000 years ago. Although there are large parts of this book that are seriously dated because they refer to LS1010 and dial-up technologies, it’s still worth reading because it does exactly what it says on the tin. It helped me really understand Performance and Fault Management on network devices and was relevant on AS5100’s and is just as relevant on Nexus 7000. I wish I had these books when I was studying for my Lab. You wouldn’t believe how difficult it was to study for a Lab with only the RFCs and the Cisco 9.1 Router Products Configuration and Reference guides.† Obviously things have moved on a lot in the last 10 years but these books are still great reference for the basics. 399 pages of pure nostalgia and not a Flip Camera in sight. Nice portion of knowledge, I have to get some of this items. I learned IP reading ‘Internetworking with TCP/IP: v. 1: Principles, Protocols and Architecture’ by Douglas Comer. Must have read it ten times over the years. Jim, yes the ‘Red Book’ would have made it on to my list except that I lost my copy years and years ago. I think I left it on a site where I was sat with a Sniffer for a couple of days trying to capture something intermittent and very important. Because it was paperback, it was a good book to stuff in your laptop bag for reference. My copy was quite battered and dog-eared That was in the days before you could get on the Internet everywhere. Thanks for reminding me. I have to agree with Jim. Comer’s book is a must read! William Stallings writes great books like “Network Security Essentials”. And last but not leased Andrew Tanenbaum ist one of my favorite writers. Take a look at “Computer Networks”. Yes … exactly. I remember being sent away from my first interview with the Cisco TAC after college, a suggested reading list in hand. Top of the list (and strangely sold out at Amazon for months) was Tanenbaum’s “Computer Networks”. Very textbook-like, but still very good. I still love my copy of “Network Warrior” by Gary Donahue. 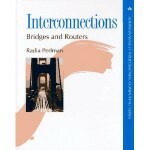 Probably the most practically useful networking book I’ve ever owned. What about “The All-New Switch Book – The Complete Guide to LAN Switching Technology” by Rich Seifert and Jim Edwards? Helped me a lot in the beginning. Most of these books were my biblical books during my Masters study and still remain so! Any old Packet magazines from the early 90s until 06 but yes the older packet magazines had just pure networking topics. And remember all the marketing jargon for a Cisco Architecture before UCS or UCS2 etc? I still have Comer, Perlman and Tanembaum on my desk. They were the reading list recommended to me when I started out in networking in 1996, and I still lend them to newcomers now. – Internet Routing Architectures, Sam Halabi. I agree with other comments.